More than 20 million new drivers fill up the streets of China per annum, making China the leading country with the number of new registered drivers. In this sense traffic jams reach its toll with more air pollution suffocating the air and more vehicles flood the road on a daily basis. According to the City Lab News local government in China are hoping that parking regulations and plate registrations will ease congestion, engineers and designers are trying to find the relief in technology. The government and engineers suggested that there would be a bus that would be able to transport its commuters without being stuck in traffic and ultimately leading to lateism. That’s where the idea behind the Futuristic Straddling Bus came into place. What is a Futuristic Straddling Bus and what makes it completely different, you ask yourself? Well, this bus is nothing like the ordinary. The Futuristic Bus when planned, it will travel through traffic while vehicles travel beneath it, yes – you read correctly. The bus has the capability to carry an estimated 1, 400 passengers making it the first bus to carry more than 300 passengers to date. 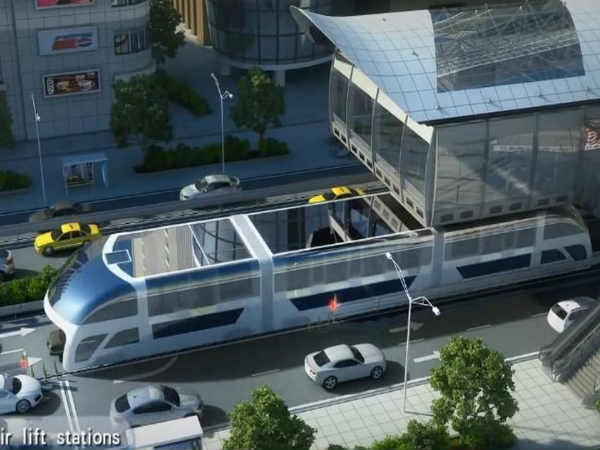 The bus would use 2 traffic lanes and travels up to 40 miles an hour above street level on a special track, giving regular vehicles the pass freely. 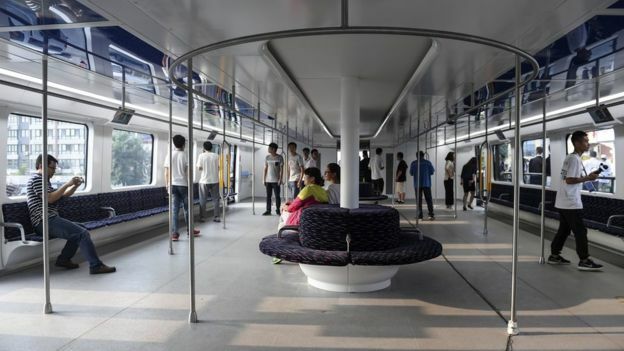 More importantly, it would run on electricity and take the place of 40 buses, which could cut annual fuel consumption by 800 tons and carbon emissions by almost 2,500 tons, according to an interview with the chief engineer, Song Youzhou, conducted by China’s official news agency, Xinhua. It would be less expensive than a subway system as it doesn’t involve digging up the ground. Beijing-based company Transit Explore Bus is currently building a life-size model in Changzhou and they plan to test it in July or August. If successful, it could help ease China’s transit problem, although it would still take years for the country to bring down its pollution levels.